Hello everyone. Today I have a card using an oh so fun technique that I learned from this post by the amazing Jennifer McGuire. This was my first attempt and 2 of my glitter colours were not glitter ritz and they definitely did not work as well or as easily as the glitter ritz colours, but I still like the end result. I will definitely be trying this again. 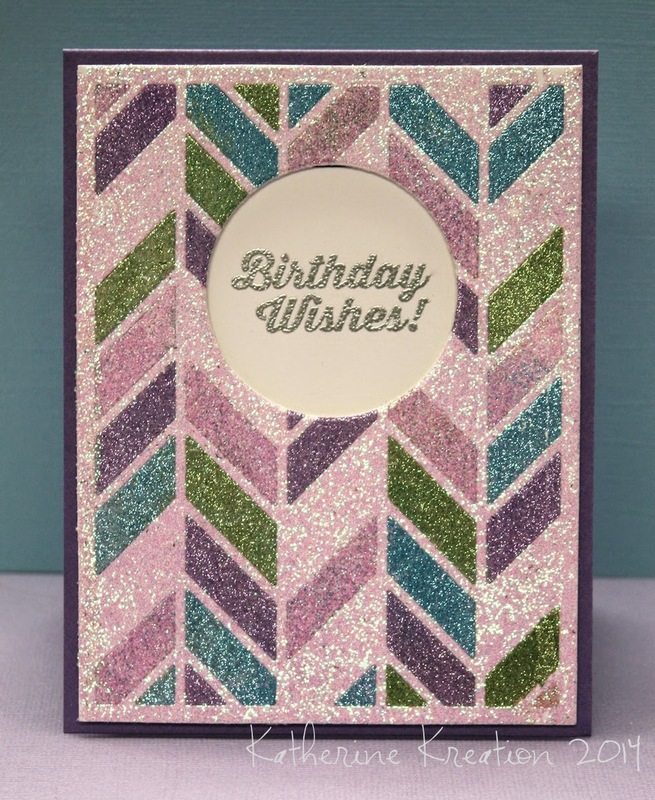 Love your sparkly birthday card. It certainly doesn't get any glitter-y-er than that! What a fun card (isn't that a cool technique?) Thanks for joining us at STAMPlorations this month.